I should be further along on the spiritual journey. Why don't I see any progress? What am I doing wrong? Do you ever feel like you are walking in spiritual circles? While we might think it would be different for a Franciscan priest, Father Albert Haase shares the same struggles. And yet he also affirms that we are all called to be ordinary mystics, who, in the words of his own spiritual director, are "ordinary Christians who do what we are all called to do: respond to grace." Learning to be a mystic is about cultivating a life with God in which we draw close, listen, and respond moment to moment. We know we will fail at times, but we can also be certain that we follow a God who never stops reaching out to us. This book offers a daily path to making the connection. 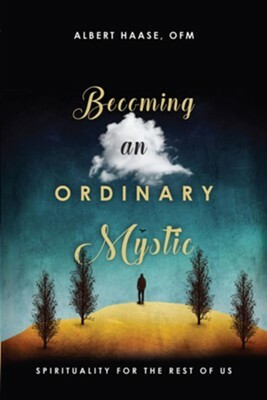 I'm the author/artist and I want to review Becoming an Ordinary Mystic: Spirituality for the Rest of Us.